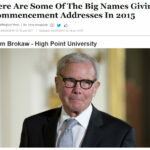 HIGH POINT, N.C., Aug. 19, 2014 – High Point University continues its tradition of bringing renowned thought leaders to campus by hosting distinguished journalist Tom Brokaw as its 2015 Commencement Speaker. 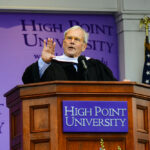 Brokaw will become part of an extraordinary lineup of HPU Commencement Speakers, including Gen. Colin Powell, former secretary of state, chairman of the Joint Chiefs of Staff and national security advisor; former First Lady Laura Bush; U.S. Supreme Court Justice Clarence Thomas; Steve Wozniak, Apple Co-Founder; Rudy Giuliani, former New York City Mayor; Her Majesty Queen Noor of Jordan; Dr. Bill Cosby; NASA Astronaut Dr. Buzz Aldrin; and Muhtar Kent, CEO of the Coca-Cola Company. 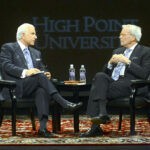 Brokaw is best known as the anchor and managing editor for NBC Nightly News with Tom Brokaw. He has won every major award in his craft, including Peabody, Duponts, Emmys and lifetime achievement recognition. In November, he was named a recipient of the Presidential Medal of Freedom. He has spent his entire journalism career with NBC News beginning in 1966 in the Los Angeles bureau where he covered Ronald Reagan’s first run for public office, the rise of the Sixties counter culture, the assassination of Bobby Kennedy and the 1968 presidential campaign. 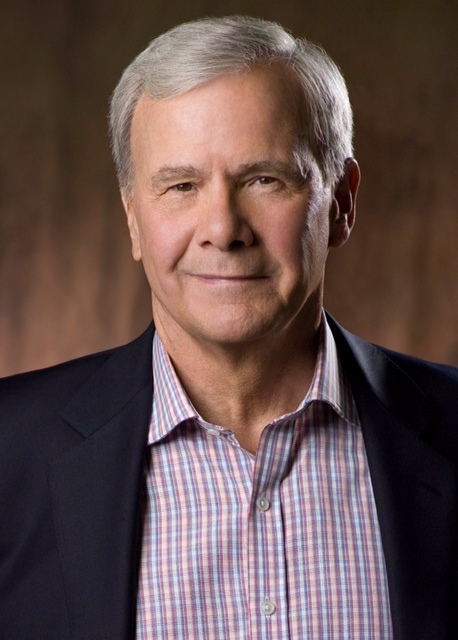 From Los Angeles, Brokaw went to Washington as the White House correspondent during Watergate and as the principal back up for John Chancellor as anchor of NBC Nightly News. His next stop was TODAY in New York, followed by his appointment as anchor and managing editor of NBC Nightly News with Tom Brokaw. He has an impressive list of firsts, including the first interview with Mikhail Gorbachev; the first network report on human rights abuses in Tibet accompanied by an exclusive interview with the Dali Lama; and the only American network anchor to report from Berlin the night the Berlin wall came down. In 1998 Brokaw published his first book, The Greatest Generation, one of the most popular non-fiction books of the 20th century. He followed that with five other books, including BOOM! Voices Of The Sixties and most recently, The Time Of Our Lives. 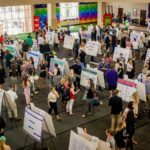 He is also a popular essayist for publications ranging from The New York Times to Rolling Stone and a wide assortment of other periodicals and newspapers. 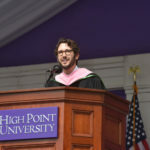 He can be heard weekdays on his daily radio segment, An American Story, on Clear Channel radio stations nationwide addressing a wide range of topics – from newsworthy current events to historic figures to notable moments in history – which impact the lives of Americans today.